On Tuesdays there's a choice between interval training with our coaches or just going for a run. Sessions vary from 200m to 5k over a six week period, held at various locations around the Lytham YMCA. See the noticeboard in the YMCA or the calendar of events on the website front page for session details. We try to keep to a regular schedule but weather or races important to the club may result in last minute changes. The following are examples of the sessions we organise. Sessions on the prom start at an appropriate place so as to run to the flag pole and back. Always run anti-clockwise round the flag pole. For an up to date schedule of what we have planned see the calendar on the Home Page. On Thursdays runs are between 3 - 6 miles with longer runs for stronger runners and groups for all standards and abilities. Beginners will be accompanied by experienced runners and shorter runs can be arranged if required. There are occasionally longer runs arranged informally on Sundays. These will be announced at the club or by email. Would you like to run but don't know where to start? 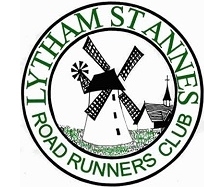 Lytham St. Annes Road Runners Club has started a group for you. No experience or running ability is necessary - just a willingness to try. Junior Sessions are held on Mondays, Tuesdays and Thursdays.